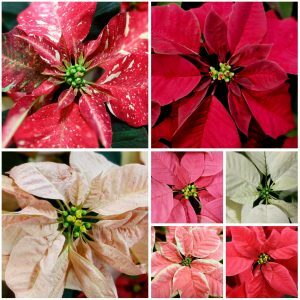 Originally red, poinsettias are available in a huge variety of sizes and colors. The best tips for keeping poinsettias in good shape are: keep them out of drafts, allow them to dry slightly between watering, and be sure to empty excess water from the bottom tray or cover provided when you purchased it. Here is Minnesota Gardener’s guide to caring for Poinsettias during the Holiday and year-round! In season, purchase these beautiful plants in our store or on our floral website. 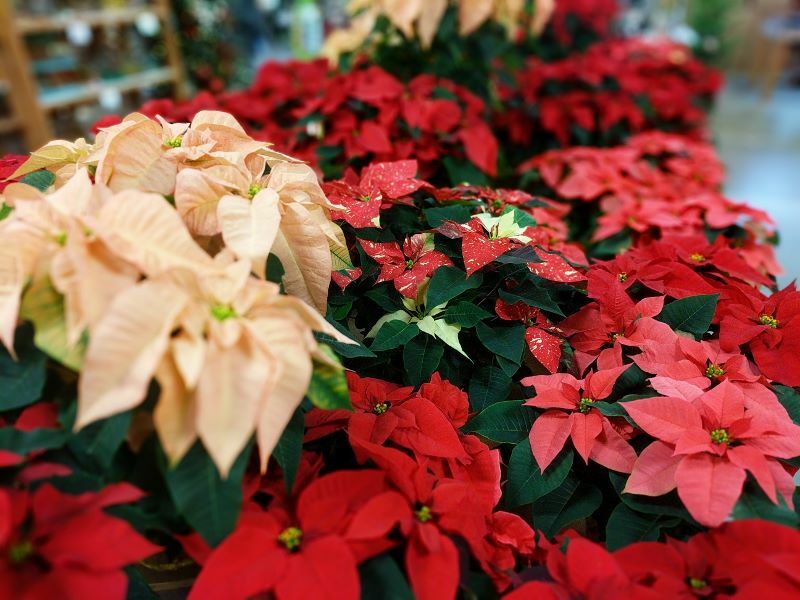 It’s the bracts of the plant, or modified leaves, that provide most of the color to poinsettias. The flower itself does provide a bright spot of color, see it? The yellow flowers are located in the center of each colorful bract.